Oral antidiabetic medication of metformin is increasingly used in pregnant women with gestational diabetes mellitus (GDM), polycystic ovary syndrome (PCOS) and obesity. The drug passes through the placenta and can potentially influence the fetus. The aim of the study is to investigate the possible long-term effects of prenatal exposure to metformin on growth and development of the offspring. A systematic review and meta-analysis was conducted to examine the longer term outcomes by the follow-up studies of the already published RCTs focusing on the body composition, metabolic parameters and neurophysiological development of the children prenatally exposed to metformin. The primary sources of the reviewed studies through August 2018, with restriction on the language of English, were Pubmed and Embase. 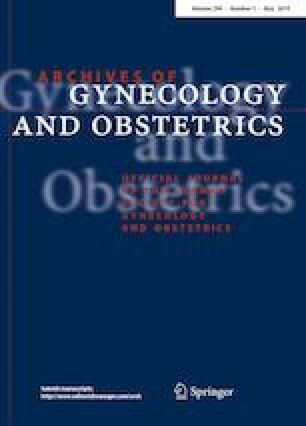 11 follow-up studies were included, with a maximal age of children being 13 years, comprising 823 children of mothers with GDM or PCOS who were randomized to either metformin or insulin/placebo during pregnancy. From the pooled meta-analysis we found that children prenatal exposure to metformin were associated with a significantly heavier weight (MD = 0.48 kg, 95% CI 0.24 kg, 0.73 kg; P = 0.0001, I2 = 0). As for other parameters of body composition, metabolic parameters and neurophysiological development, the results were similar between metformin and placebo/insulin use. Increased offspring weight was more observed in children prenatal exposure to metformin. Heathcare providers and patients should be aware that metformin is increasingly prescribed in pregnancy based on the relatively limited evidences but nonetheless encouraging long-term offspring data are available. QX: designed the study, collected data, and analyzed/interpreted data wrote the draft critically for important intellectual content approved the final version to be published. QX: collected data, and analyzed/interpreted data critically for important intellectual content approved the final version to be published. There are none to declare. Higgins JP, Green S. Cochrane handbook for systematic reviews of interventions version 5.1.0. March 2011. Cochrane Collaboration, 2011. Available at: https://www.cochrane-handbook.org. Accessed March 29, 2016.